no thanks to kalb :-P we have the 13 march 2007 city council meeting with remarks by mr. tony clayton and ms. bridgett brown. added 6:56 am cdt monday 02 april 2007 now we're not lawyers we just watch a lot of law and order and in that middle video, the bridgett brown video, city attorney charles johnson plainly asks the city council for permission to file a "motion to determine counsel." the city council president everett hobbs just laughed at mr. johnson....then perhaps the most strangest and most telling event happened in this whole episode -- councilman lawson chimed in that he was under the impression that ms. brown was "still on the case they (mayor & city attorney, etc.) under the impression shes not, i think if we move forward we're not gonna solve it here i say that we move the meeting and thats my position." what exactly does this mean "move the meeting?" move the meeting to where? out of the public eye? and "not gonna solve it here" thats disturbing because thats exactly where it should be solved - in public; in a public meeting. so then the city attorney reiterates his request to file his motion and the city council hem-haws around for a little while and councilman lawson is again adamant in his position to adjourn the meeting. now like we wrote earlier we arent lawyers but it would seem to the casual observer that if mr. johnson would have been given permission to file his motion that would have given the city the advantage because it would have put the ball in ms. browns court to show that she was right and the city wrong. now ms. brown has filed papers that would seem to give her an advantage and make the city have to prove its position is correct. even though most if not all of the city councilmen might be friends with ms. brown and all that - their first duty is to the city. so how can the citizens of alexandria expect their city to be properly ran when their own city council doesnt act in the citys best interest? Bridgett Brown told the Alexandria City Council on Tuesday that she is still its attorney in the ongoing Cleco Corp. case, despite receiving a letter almost two weeks ago stating she was off the case. Brown's and others' statements Tuesday were the first confirmation that Brown had been relieved of duty by the city attorney for Mayor Jacques Roy. 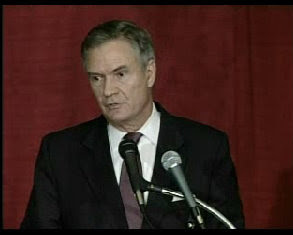 last month kalb couldnt wait to post footage of the 27 february 2007 alexandria, louisiana city council meeting. permalink here. this month (13 march 2007) another controversy erupted when a friend of ms. brown, tony clayton, addressed the council and said that the mayor didnt have any authority to remove ms. brown from the cleco case. then ms. brown personally addressed the city council and said practically the same thing. kalb hasnt posted any of this video or even mentioned it on their website. what gives? we are working on the transcript and hope to have it completed sometime tonight or tomorrow - in the meantime check cable channel 4 as they are replaying the meeting from time to time. bridgett brown plays her race card, again. back on 22 march 2007 we posted about how in a city council community development committee meeting, an alexandria, louisiana reverend (leroy johnson) had given the city council president (everett hobbs) a good dressing down. the point of the post was to draw attention to the city council meetings that are televised on suddenlink cable channel four and to maybe give someone out there the idea to record and post these clips to youtube or google video. hey since its spring we thought we would plant a seed. within oh about an hour of our posting we received an email from the news director over at kalb-tv offering to acquire that video for us. after a flurry of emails between us it was understood that kalb would acquire the reverend leroy johnson clip as well as the bridgett brown clip starting with comments made by mr. freddie banks and mr. tony clayton and then picking up again with ms. brown's comments and continuing through to the adjournment of the city council meeting. the idea was that we would upload the video to google video ourselves with credit to kalb etc. here it is nine days later and still no video and no word as to when, if ever, we will ever acquire it. we have noticed that kalb hasnt posted it online themselves either. heres another list of rats from around alexandria and central louisiana. these rats are all working together to abolish america's freedoms and the constitution and bill of rights as shown by their support of and for the rhodes scholar communist and treasonous traitor to this same constitution and bill of rights piyush "bobby" jindal to be louisiana's next governor. if you love america and our constitution and bill of rights you should consider this the next time you do business with one of these rats. Mr. R. O’Neal Chadwick, Jr.
Mr. & Mrs. Richard L. Crowell, Jr.
Dr. & Mrs. Wilton A. Guillory, Jr.
Dr. & Mrs. Alfred Mansour, Jr.
Mr. Robert D. Webb, Sr.
• Bobby’s Club: Individuals who make the maximum contribution of $5,000 to Friends of Bobby Jindal. • Committee for Louisiana’s Future: Individuals who commit to give and/or raise $25,000 for Friends of Bobby Jindal. (Maximum contribution per individual or legal entity is $5,000). • Governor’s Council: Made up of key friends and supporters who commit to give and/or raise $50,000 for Friends of Bobby Jindal. (Maximum contribution per individual or legal entity is $5,000). central louisiana needs rain bad to wash off all this toxic pollen, however, this is the same storm that clobbered dallas and other parts of texas yesterday. yikes! 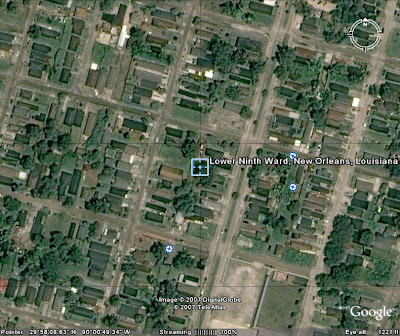 heres a screen grab from google earth we took just now. to be honest we cant tell for certain if this is before or after katrina. It has better resolution than those images from Google (BTW it's aerial imagery, not satellite), better calibration and more areas. There are also post-Rita and Ophelia images. the dead pelican has a statement up (see link) from the louisiana republican party chairman roger villere. now this guy roger villere is the sorriest excuse for (1) a republican and (2) and most importantly: a republican party state chairman. where is roger the useless idiot at when his own republican legislators are authoring and voting for unrepublican legislation? hmmm? we would like to know. ...where are the "scathing" press releases , epithets and denunciations at when members of his own party wipe their arse's with the state republican party platform? this guy is a buffoon. the only demonstrable (non) talent that we can discern that villere has, is to seize on some obscure sentence in a speech and try to make political hay from it. roger villere is a disgrace to the republican party and its ideals and anyone who listens to him or takes him seriously is just as foolish. it's a start jeff crouere! senator breaux lays out his case for being a citizen of louisiana. if it turns out that he is a citizen of louisiana then the question should be: why the hell havent you voted in the past five or so years? thank you for your 13 march 2007 resolution regarding citizen access to city business. with this in mind, it would be most helpful if the city posted to its website the schedule of the suddenlink cable channel 4 rebroadcasts of the city council committee and the city council meetings. it would also be most helpful if the city would archive and stream from its website these same meetings. thanks again for your resolution and we hope that you will seriously consider amending, if needs be, your resolution to direct the city to make available those broadcasts online as it will be most beneficial to the public to watch those videos, at will, over the internet and have to rely less on the local media for reports etc. the caption of the town talk's story reads "Online blog about residence incorrect, says councilwoman." 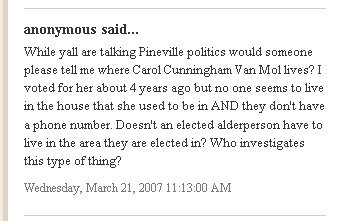 first of all this is a bit misleading because it sounds like someone has set up and devoted a whole blog to this pineville, la., councilwoman residence issue -- thats not the case. cenlaantics.blogspot.com is the blog; a blog posting is the title and text of a particular post. for instance this anonymous comment was posted to the cenla antics blog posting called: "david vitter endorses giuliani." so a more accurate caption to the town talk's story might be: "anonymous comment about residence in online blog posting incorrect says councilwoman." we see this same blog misinformation given out on kalb as well. for instance when one of the anchors turns to tom konvicka and says "i understand you have a new weather blog up." mr. konvicka does not have a new weather blog up -- the weather blog is his blog. what mr. konvicka has is a new post or a new entry on his weather blog. anyway, why did the town talk decide to report on this pineville councilwoman non story while they completely ignore real news? for example we havent seen not one word devoted to this story or this story. the only plausible conclusion that one can come to is that the town talk is trying to discredit and marginalize local blogs. **updated** according to ms. donna jones with the city of alexandria - telephone: 318.449.5090 - the city council committee and city council meetings are rebroadcast daily at 10:00am and 6:00 pm on suddenlink cable channel 4.
if you live in the alexandria, louisiana area and subscribe to suddenlink cable tv you just have to watch (channel 4) the 28 march 2007 alexandria city council meeting. there has to be someone out there that can record and post these clips to youtube or google video. 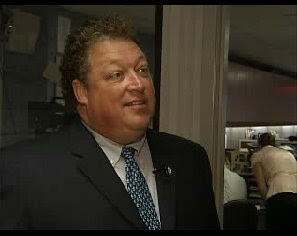 louisiana state senator walter boasso is running for louisiana governor. today he met with kalb-tv's news director michele godard to give an interview for kalb's video blog. note: we've noticed that blogs come and go, so some of these blogs could be deleted or no longer posting. 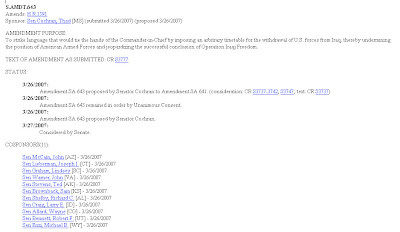 this is page two of cenla blogs the first cenla blogs page became too long. 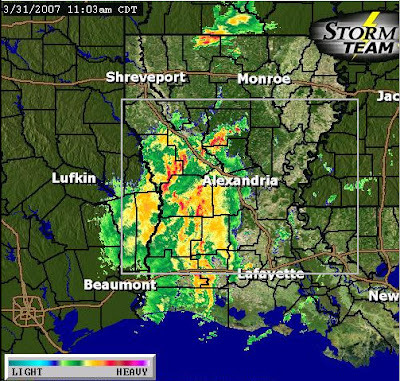 started on 06 july 2008 observations from around alexandria, la. and central louisiana. 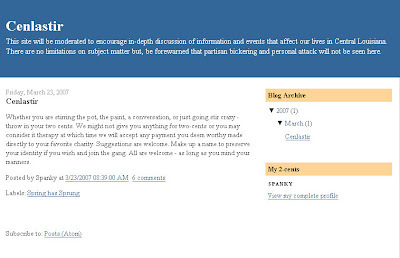 alexcenla says that his blog is a work in progress so check it regularly. anyone interested in winn parish, louisiana, is welcome to post comments on this blog. written by someone who calls herself "jess" and lists her occupation as "full time princess" it seems like it could be a fun blog to follow...so...click on over and check it out. leave a comment and give her some encouragement. heres a new blog we recently stumbled across. 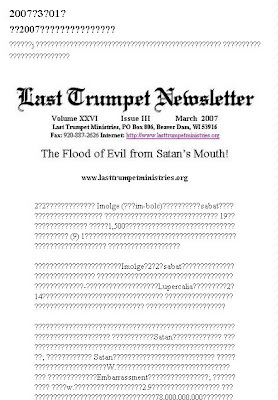 it seems to complement a publication called "the light." 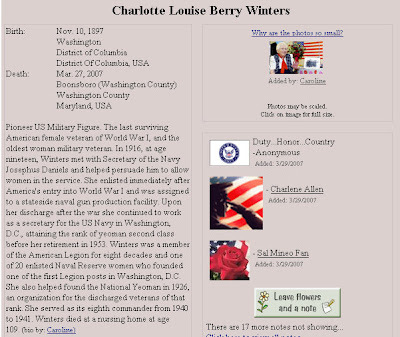 according to the first post from 24 august 2007, the blog as well as the newspaper is produced by a lady named sherri l. jackson of alexandria, la. cenla current promises to be "the digital crossroads for central louisiana"
it features news stories and forums for readers to browse and comment on. laughter and the lighter side of life in...well...cenlaugh! written by an as yet (although we have a strong suspicion who) unnamed central louisiana news media personality who styles herself as "blogger" it could turn out to be one of cenla's hottest new blogs. so click on over and check it out. started by "spanky" of cenla antics fame. this blog promises a "moderated discussion of information and events that affect our lives in central louisiana...partisan bickering and personal attack will not be seen here." how we get on all these email mailing lists we dont have a clue. we're not complaining though and we have always liked jim brown. did you know that his daughter is the nbc news anchor campbell brown? New Orleans, LA. 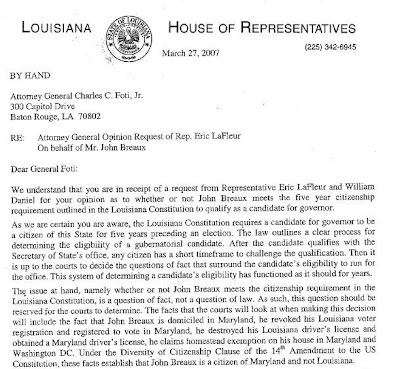 March 23, 2007… The New 99.5 FM’s Jim Brown* says Louisiana could be a major player in presidential primary politics and save over a million dollars by taking one simple step- moving the presidential primary currently scheduled for February 9, 2008, to this fall. On his 99.5 FM radio show this morning, Brown proposed that a non-binding presidential primary be held in Louisiana on November 17th, the day of the gubernatorial run-off election. The legislature, meeting in a few weeks, could authorize a presidential “beauty contest” where each party’s voters could choose their favorite candidate two months before the Iowa Caucuses on January 14, 2008. The move would cost the state nothing. In fact, it would save the state at least $1 million. in this video report (see link) posted to kalb.com and filed by newcomer joel massey we learn that the recent que'in on the red event "was a big success"...huh? according to the report only 12,000 people attended this two day event and thats 12,000 people out of (according to the below report from harvard university) a metropolitian area that contains (in 2000) 126,337 people. another thing is that the ticket sales for, again a 2 day event, was only $35,000 [26,227 eur]. in what must have been a backhand swipe at ron roberts: "community services director lisa harris attributed the success in part to the wide variety of musical artists." over on the town talk they repeat the 12,000 number and quote mayor roy as saying "this year’s que’in on the red was a massive success, this exceeded our expectations,” roy added. “it was the biggest festival alexandria has had in recent history.” thats funny because worldstadiums.com says that the rapides parish coliseum's capacity is 6,512 people, so the que'in on the red festival an outdoor event, attracted the equivalent of two coliseum's full of people over a two day period and knowing the city they counted as attendees the vendors, police and support personnel etc. so who knows what the true numbers really are. 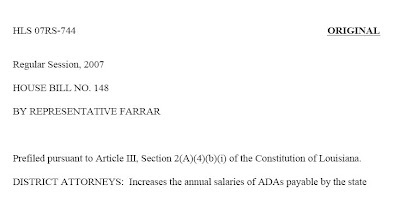 now contrast those numbers with the city of alexandria's recent decision to fork over $15,000; GAEDA $15,000 and the england authority $10,000 ($40,000 ttl) to dana pitcher for a boxing event thats only going to last a few hours. something just doesnt add up. the money is funny. 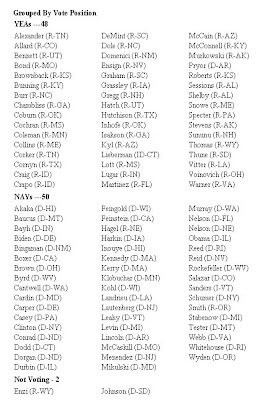 heres the united states senate vote on the amendment (s.amdt. 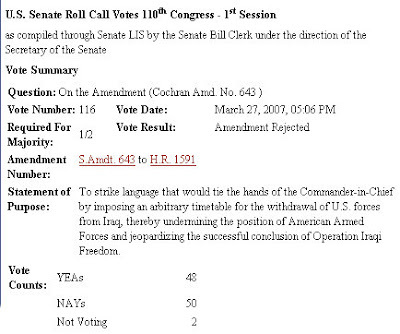 643) to strike language from h.r.1591 that according to senator thad cochran (idiot) mississippi, would "tie the hands of the commander in chief by imposing an arbitrary timetable for the withdrawl of u.s. forces from iraq..." this amendment failed. we are glad to see that our senator katrina mary landrieu for once removed her bush knee pads and voted right. our other senator the doofus david vitter is still slobbin that bush knob. today, state senator noble ellington (d) and state representative jim tucker (r) wrote a letter (see link) to the louisiana attorney general charles foti to "urge you [foti] not to accept the request to render an opinion on this issue." 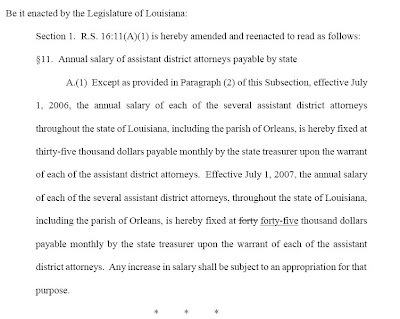 now this is how nutty louisiana politicians are -- about the third paragraph down they write "The issue at hand [...] is a question of fact, not a question of law. As such, this question should be reserved for the courts to determine." sheesh. by the way just in case you're wondering...we arent voting for either piyush "bobby" jindal or senator john breaux in the so called "jungle primary" we are voting strictly for an independant third party candidate. although if it does come down to breaux v jindal in the runoff, then we will vote for senator breaux. we just received a visitor from japan. they used google's translator: translate.google.com to read one of our post's in japanese. we dont see anything but a lot of ??? though. UPDATE: medical doctor congressman charles boustany supports torture! you gotta really wonder about this useful idiots judgement. he just saw a firestorm erupt what, a week ago? when louisiana's senator doofus david vitter endorsed big time new york city pervert and 911 scammer rudy giuliani. thats okay though, we are sure that louisiana's other nutty professor jeff sadow, will just assure us that in two years everyone will have forgotten about it anyway. Team Rudy adds another Pelican! law & grace, inc. is an 501(c)(3) social ministry corporation founded by ms. barbara ann coleman jackson. ms. jackson, or ann coleman as she prefers to be called, is a new orleans native following new orleans judicial corruption, especially with respect to new orleans property seizures called "flipping." today ms. coleman posted a new essay on how the u.s. attorney firings could have consequences in stopping white collar criminals in the new orleans area. The noise about the firing of those 8 U.S. Attorneys is being heard all over the place, as the firings appear to have been tainted; and possibly to prevent exposure of white collar activity. For sure if those 8 persons lost their jobs for doing their jobs that is certainly an INJUSTICE. Further, demands have been made for Gonzales’ resignation; and all sort of unsavory discussion regarding the Justice Department is being circulated. For such reasons, Congress is probing the Attorney General to get to the bottom of things. Nearly a week ago amid all these factors, Attorney General Alberto Gonzales’ chief of staff Kyle Sampson resigned.